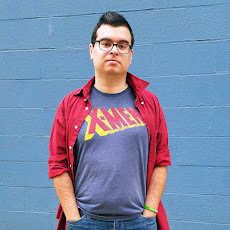 If you check out my blog, follow me on social media, or have ever just been inside my apartment, you’ll know what a huge fan I am of video games, anime, comics, and more. If you’re a random person I pass on the street, your only glimpse at my geekiness is my occasional t-shirt of awesomeness. It’s only natural that I eventually got connected with ThinkGeek, the number one purveyor of geek lifestyle accessories. In my first product review for ThinkGeek, the geek culture emporium sent me to the ruined kingdom of Hyrule in The Legend of Zelda: Breath of the Wild. 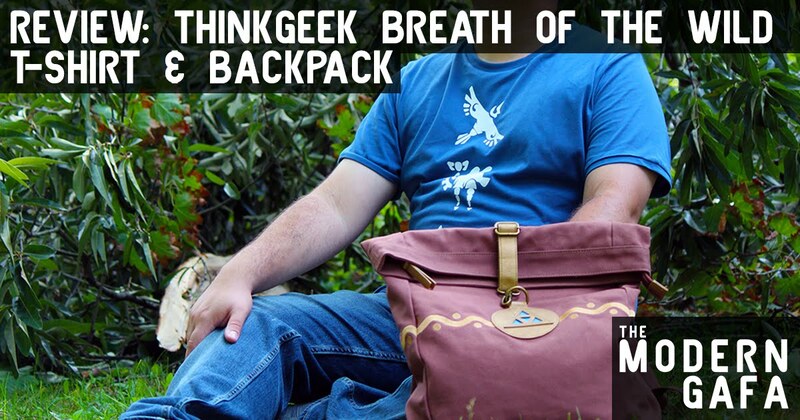 Disclaimer: I was sent the Breath of the Wild Zelda Backpack & Divine Beasts T-Shirt courtesy of ThinkGeek. Opinions are my own. The first item I have to review is a t-shirt. It’s a wonderful royal blue (a welcome change from my mostly red and black wardrobe) made from a very soft material. I’ve picked up geeky shirts at various places ranging from dollar stores to department stores, but this is by far the most comfortable and highest quality shirt I’ve ever worn. Also unlike most geeky shirts I’ve seen, which are just a simple image in the center, this one features the symbols of the Divine Beasts in white, stacked vertically from the collar to the hem. I love this aspect. It really makes it stand out among other shirts. There is additional imagery on the lower back. It’s really soft and really comfortable. The backpack is really cool, way bigger than I thought it would be. It’s 12" wide x 16" tall x 5" deep and made of a really nice, durable material. After my totally scientific experiment (spraying it with a squirt bottle) I confirmed that it’s totally waterproof too. The big zips and flaps over like the bags I associate with bicycle messengers, and it holds a LOT of stuff. It’s a really awesome bag that will probably be my future event and travel bag. I’m always picking up so much stuff at conventions and I never have enough space for any of it. It also makes a perfect back to school book bag. Check out the unboxing video below and watch me try to see how much stuff I can fit in it. In addition to the Breath of the Wild Zelda Backpack and the Divine Beasts T-Shirt, ThinkGeek has launched a full collection of clothing inspired by Link’s latest adventure. The entire line includes shirts, hats, jackets, and scarves that can add an extra geek flair to your daily life. The individual pieces look awesome and can be combined for some great outfit combinations. Check out the entire collection here and add a little adventure to your life.